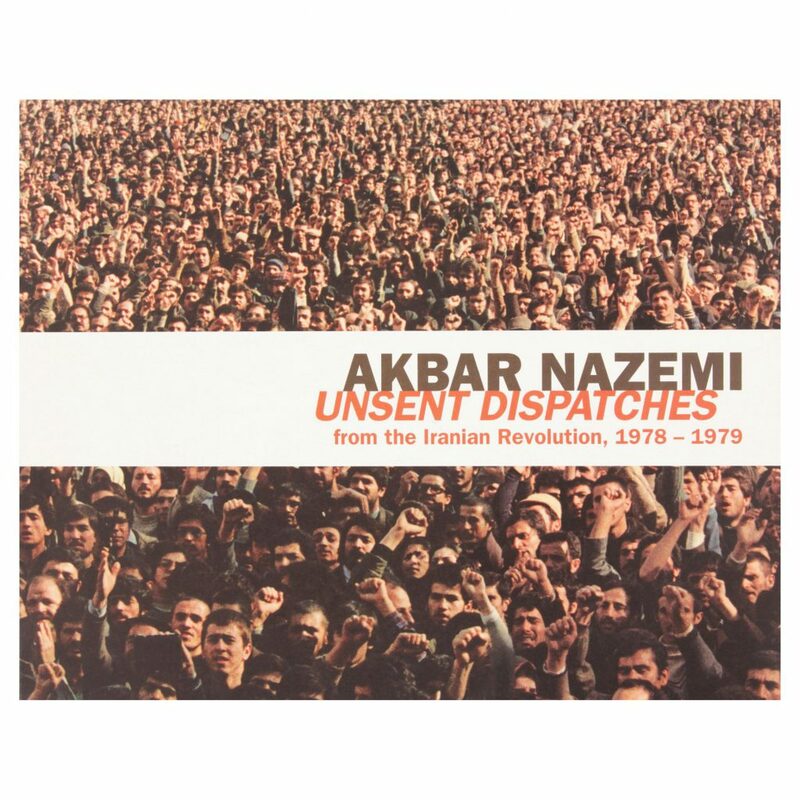 Akbar Nazemi was a young photographer who came back home from studying photography in Dusseldorf when the Iranian Revolution began in June 1978. This is the first gallery exhibition of what are arguably the best photographs of that watershed moment that has continued to have a powerful global impact to this day. Questions about the value of ‘culture’ and more specifically, the value of ‘art’ abound, even during a revolution. What is contemporary art in the revolutionary context? Of what value is art for the sake of art when one’s society is either crumbling or being transformed? 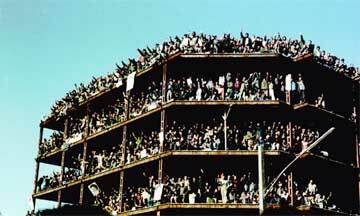 Akbar Nazemi’s photographs of the Iranian Revolution were made at substantial personal risk. He was an active participant, making images during the day and processing film or distributing communications by night. 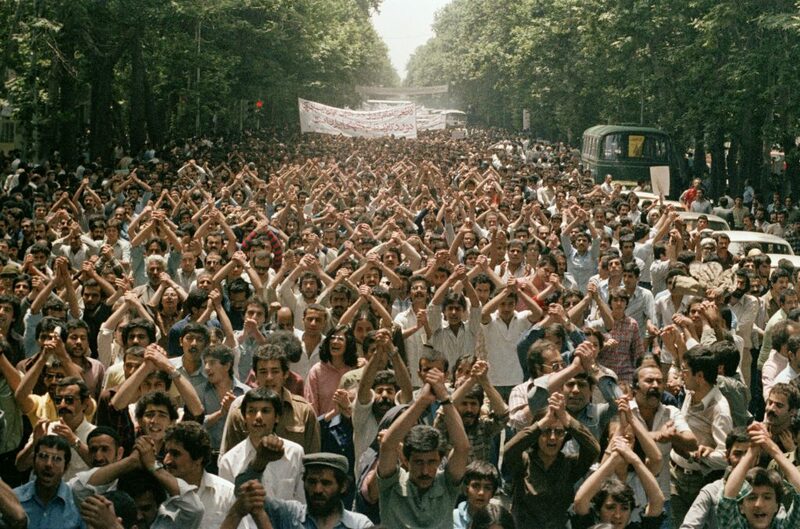 The images document the reaction to twenty-five years of rule by The Shah of Iran, as well as the first mass demonstration of the rise of militant Islam. The negatives were smuggled out of Tehran in the 1980s. PHG gratefully acknowledges the financial support of this exhibition and its catalogue from Dr. Mehdi Meshgini, Archibald Clarke & Defieux Insurance Services and Opus Framing & Art Supplies. Discussion with the artist and the curators. PHG Publication with texts by Pantea Haghighi, Asef Bayat, Nikki R. Keddie, Akbar Nazemi and Bill Jeffries. 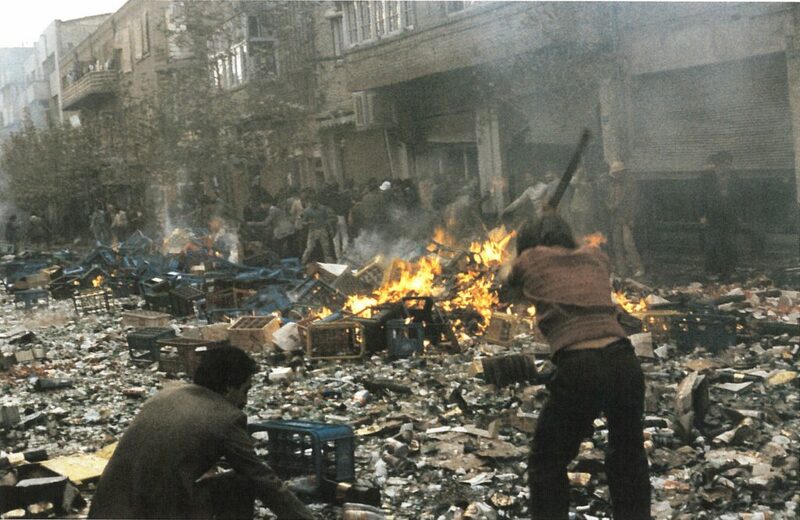 Gallery Invitation - back ( Image: Revolutionaries looting liquor stores and smashing bottles on the street. Oct 1978. 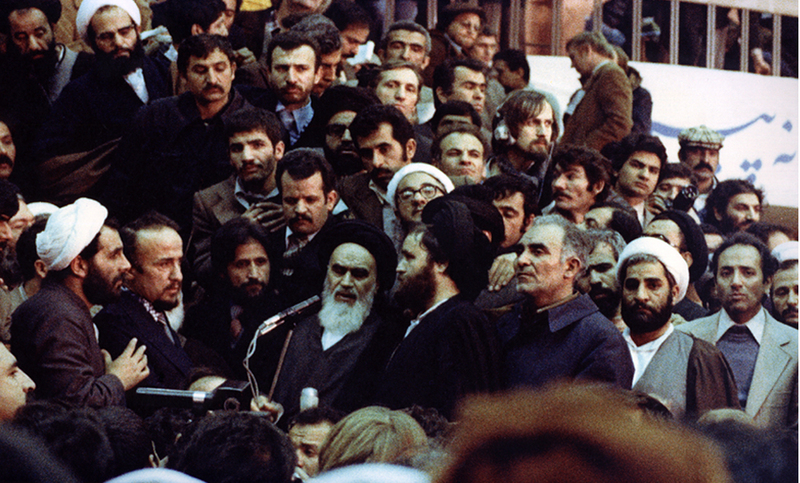 Gallery Invitation - front ( Image: Pro-revolutionaries at a demonstration celebrating Ayatollah Taleghani's release, June-July 1978. Woman with flyers, Autumn 1978. 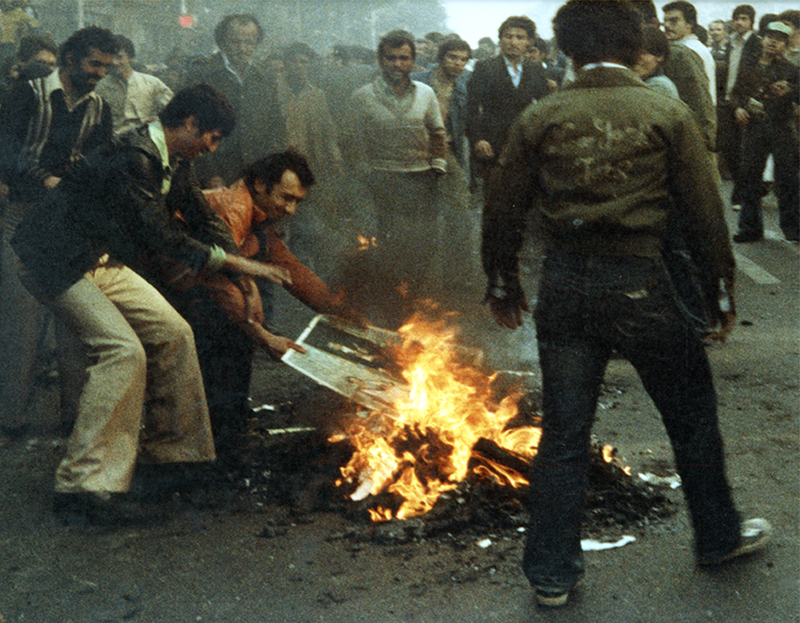 Shah's photographs being burnt for the first time. Autumn 1979. Ayatollah Khomeini's First public address upon his arrival at Mehrabad Airport. February 1, 1979. 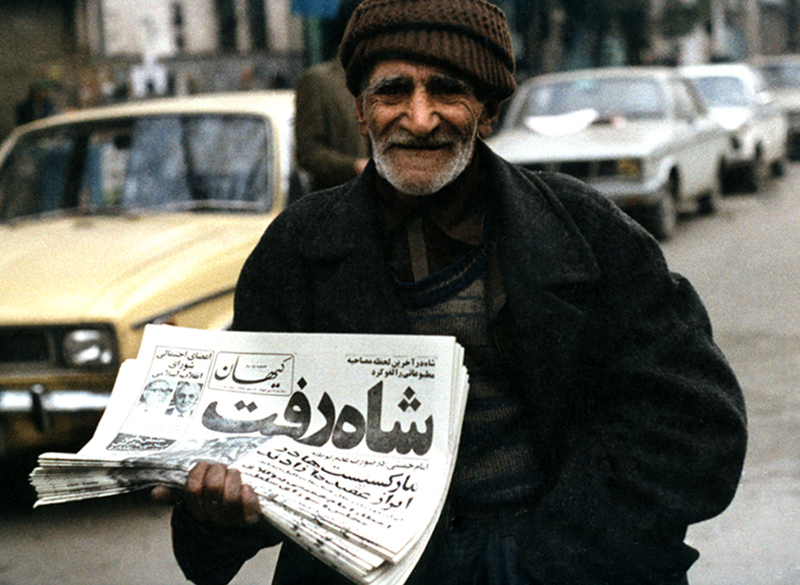 Newspaper Seller Displaying Headline, "Shah Left". January 16, 1979. Demonstration by Communist Party Members. Autumn 1978. Akbar Nazemi's extraordinary colour photographs of the streets of Tehran during the period of the Iranian revolution. 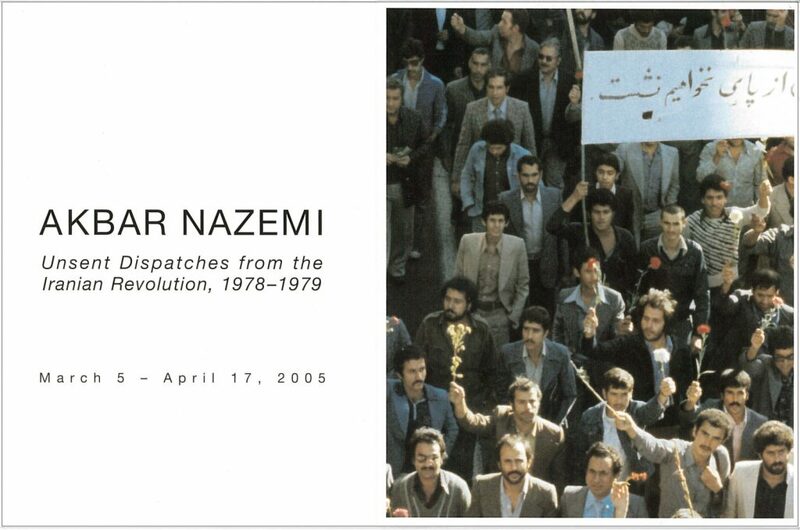 Nazemi was a young photographer studying in Dusseldorf when the Iranian Revolution began in June 1978. He returned to Tehran immediately and spent the next eight months recording the daily street scene during those extraordinary times. 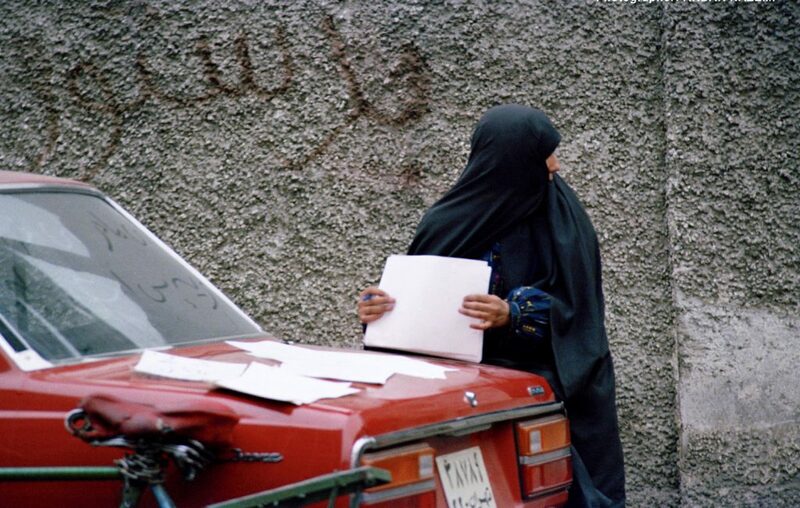 Nazemi’s photographs of that watershed moment document an event that continues to have a powerful global impact to this day. The photographs were exhibited from March 5 to April 17, 2005 at Presentation House Gallery, then toured to the Art Gallery of Windsor and the Kenderdine Art Gallery in Saskatoon. Texts by Asef Bayat, Pantea Haghighi, Nikki R. Keddie, Akbar Nazemi, and Bill Jeffries. Catalogue Design: Sandra Hanson Design. Printer: Benwell Atkins.